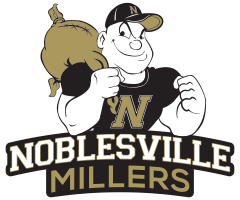 Abel was a three-sport athlete for the Millers who started at quarterback for the football team for three years. He gained 1,057 yards on 80 rushing attempts during the 1957 season to establish a school record of 13.2 yards per carry. He set a new football school-record for individual points scored with 168 points in a season. Abel led the football team to a 19-1 record in his junior and senior seasons. He was a member of the 1957 basketball team that advanced to Semi-State, and he was also a member of the 1958 sectional championship basketball team. Burris was an outstanding fullback in football who established the career scoring record in Hamilton County with 231 points. He broke his own NHS and Hamilton County Track & Field record in the shot put in 1960 with a toss of 54 feet, 6 1/2 inches against Indianapolis Wood. He was a member of the 1958, 1959, and 1961 sectional championship basketball teams and had the game-winning tip-in basket in sudden death overtime against Sheridan in the 1961 Sectional. Burris was also an outstanding baseball player and lettered in all four sports. 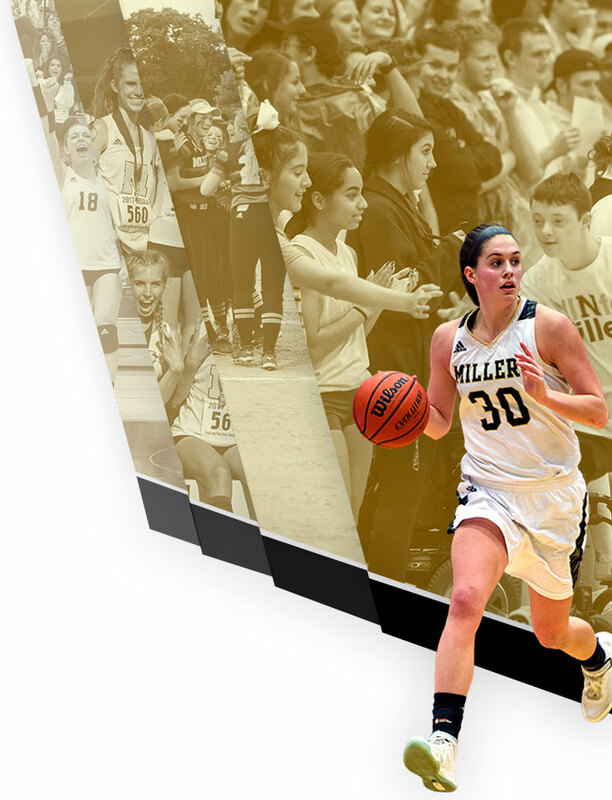 McDonald was an outstanding four-sport athlete for the Millers. He was a great offensive lineman in football who was named All-State and All-County. McDonald was an excellent shot-putter for the Track & Field Millers. He lettered multiple times in baseball, golf, and track & field. 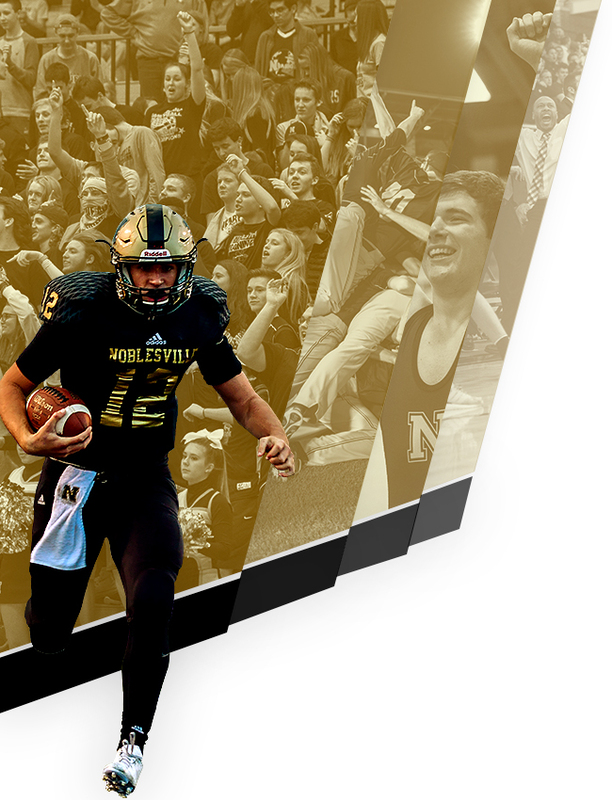 Nevitt won nine letters as an athlete at NHS, winning three each in football, basketball, and track & field. He qualified for the Track & Field Regional in 1949. He was named to the all-sectional basketball team as a senior and is a member of the Hamilton County Basketball Hall of Fame. Nevitt later served as the first athletic director of NHS from 1967 to 1984. 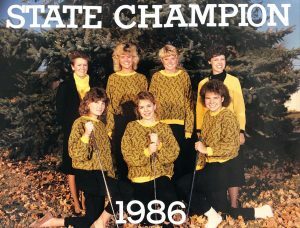 Team Members: Ashley Brown, Ann Childress, Courtney Cox, Kristin Ryan, and Kari Swogger. 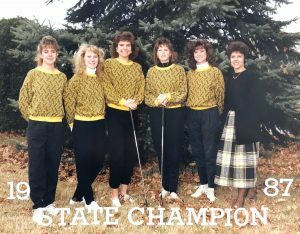 Team Members: Ann Childress, Courtney Cox, Kim Prasse, Lora Richards, and Kari Swogger.